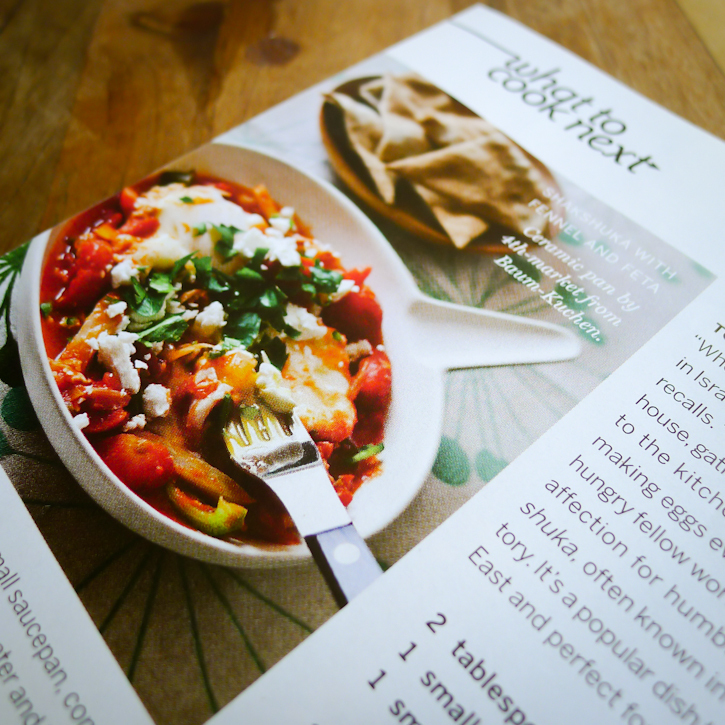 I've been working with very sweet Food & Wine magazine editors and stylists throughout 2011... They were super interested in the 4th-market items from our Baum-Kuchen shop and many pots and pans went back and fourth between their New York photo shoot locations and our Los Angeles office... So I was absolutely thrilled when I was informed that the white Risotto Pan would be a part of their March issue! Since we were traveling oversees, I was not able to get the magazine in my hand until now... but hey, it's better now than never, right? 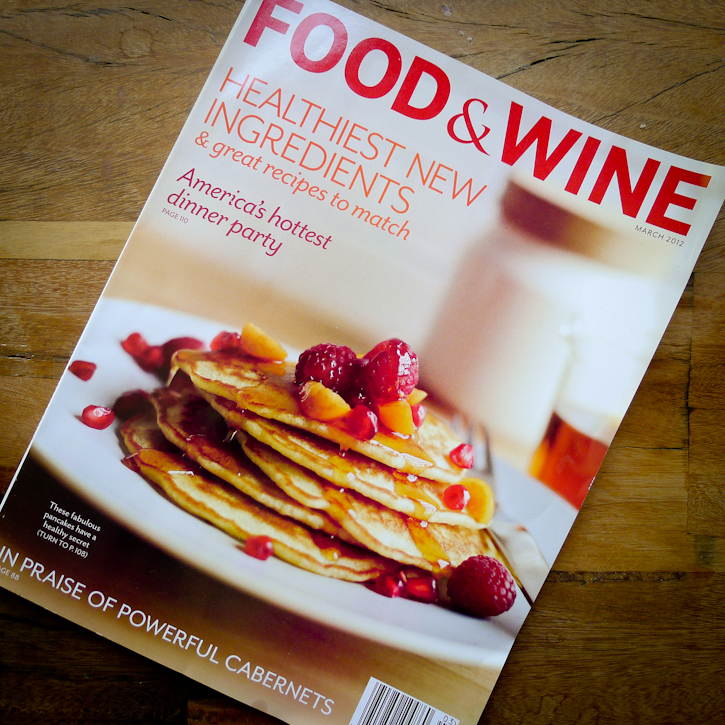 There will be another feature on soon to be out Food & Wine cocktail issue for 2012. They told me that we could find the magazine any days now... so I will be stopping by the nearby bookstore like a bee around flowers until I find it on the shelf! 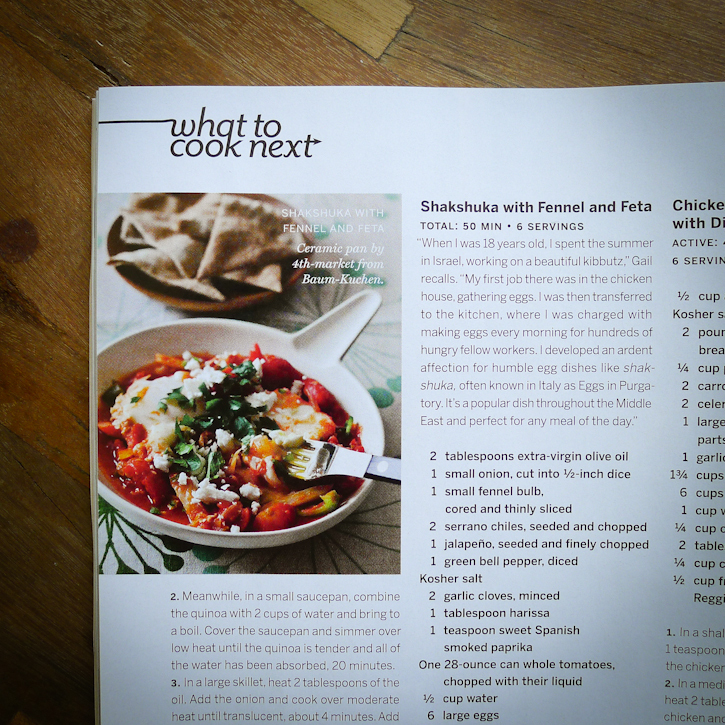 Thank you Jessie & Jane for getting the March issue for me. You girls are the best!! !